Everything You Need To Start Raking In Up To 90% of Every Sale From Some Of The Highest Converting Offers In the Women’s Relationship Market Is RIGHT HERE! "Guys, I did an early offer of [His Secret Obsession] as well and happy to say that it did over 1.59 EPC to my list... Upsells were fantastic at 78% of initial sales. “Wow, HSO has been the highest converting affiliate offer that we've promoted to our women's dating/relationships lists in the last 2 years! Upsells are taken up very highly also. EPCs are over $1.50 which is phenomenal these days. Hi, I’m Jordan Hall, Marketing Manager here at Blink Publishing. And with you, our potential affiliates, in mind - we’ve gone above and beyond to provide you with the most effective, high converting (ready-made) tools like landing pages, articles, email swipes, banners and PDFs with your Clickbank ID embedded and even more affiliate resources are available. Including a regular affiliate success email newsletter, containing traffic methods, SEO experiments, and social media hacks. We’ll do the hard work so you can model our methods to generate more traffic and sales. And if there is something you want that you don’t see then shoot us a message and we’ll make it for you. We're ready to help and can be called, emailed, or reached via live chat. Now let’s look at how much cash you can earn promoting Beirresisitible products. We know how hard our affiliates work so now we’re offering up to 90% commission on our entire funnel. There is very few if any other offers that give 90% commission across the entire funnel, but we want to make it easy for you to see those commission dollars in your bank. Our affiliates have earned over $4,8000,000 promoting beirresistible products! And with killer conversion rates and sky high upsell take rates, many of our affiliates are earning as much as $5.45 per hop! Because at beirresitible.com, you won’t find any flat offers. And they are chomping at the bit to get their hands on these offers, which means HUGE commissions for you, low refund rates and happy customers. We believe the key to making the highest profits possible for both of us, is by helping as many women as possible improve their relationships and find the love and happiness they deserve. From there, our marketing team puts their blood, sweat, and tears into crafting the highest converting sales funnel for each and every product. In creating His Secret Obsession we dedicated thousands of hours and over $973,450 (yeah, nearly a million bucks) on testing and refining the conversion process. And to make sure you’re not leaving any money on the table, we are constantly updating and perfecting our affiliate tools to maximize your profits. We’ve headhunted some absolute rockstar affiliates and asked them to share their traffic methods and marketing ideas in our affiliate success newsletter which you don’t want to miss if you want more traffic. As soon as you join our exclusive affiliate success newsletter you’ll get access to our proven traffic and conversion methods, plus so much more. We’ve also got a secret Facebook group where you can ask us or the group questions, network with other affiliates, and get inspired for your next promotion. Plus, at the end of the day we can all feel good knowing that we are helping women find real solutions to their most painful relationship issues and experience life-changing results. Here’s just a few of the commission boosting affiliate tools we offer to any affiliate promoting Beirresisitible products. We’ll also continue to release new affiliate tools, creatives, and tutorials to give you everything you need. So whether you have an email list, blog, Youtube channel, Pinterest, Instagram, Facebook group, etc... we’ve got you covered! If we don’t have the affiliate tools you’re looking for, just ask and we’ll create them for you! and start earning huge profits with us! Or select a product below to go straight to our affiliate center and start earning commissions right away! His Secret Obsession has helped thousands of women improve their relationships, and in the process paid out millions in affiliate commissions. And “His Secret Obsession” is already seeing incredibly HIGH conversions. The reason this offer converts to almost any female traffic is that any woman who doesn’t have a perfect relationship will want to know about this! This is the answer they’ve been looking for. Your Commissions: 75-90% of front AND back end sales. You can make up to $180.71 per customer! Bottom line: You can fully expect this to be a blockbuster promotion for you! This program has helped thousands of women improve their relationships and in the process paid out over $1.7 million to affiliates just like you. What Men Secretly Want is a comprehensive relationship and dating guide for women that reveals the power of the “Respect Principle” and how to use it to become truly irresistible to a man. Your Commissions: 75-90% of front AND back end sales. You can make up to $116.25 per customer! The Relationship Rewrite Method is an ultra high-converting Ex-Back program designed exclusively for women. 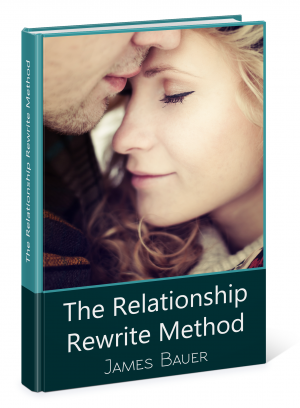 The Relationship Rewrite Method presents a revolutionary approach to fixing relationship, because it works across the full spectrum of troubles, from the man who goes cold after a bad fight, all the way to the full-scale, catastrophic breakup. And this bigger range of solutions means more conversions for you! Enjoy the opportunity to change the lives of your clients with new, market-shocking, material on Intuition and relationships. Start earning outstanding commissions on a topic proven to catch women's attention. 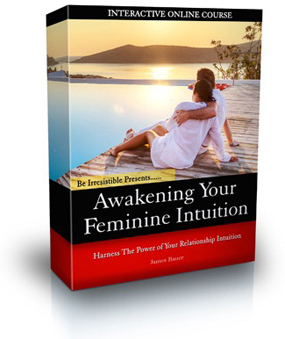 This unique training course was designed to magnify the tremendous potential that lies dormant within a woman’s own intuitive wisdom about relationships. We've tested it, and it converts. With rigorous split testing, and months of copy refinement we are confident in our high conversions. We've prepared the best email swipes and banner ads so you'll be successful in your promotion campaign. Your Commissions: 75-90% of front AND back end sales. You can make up to $35.25 per customer!